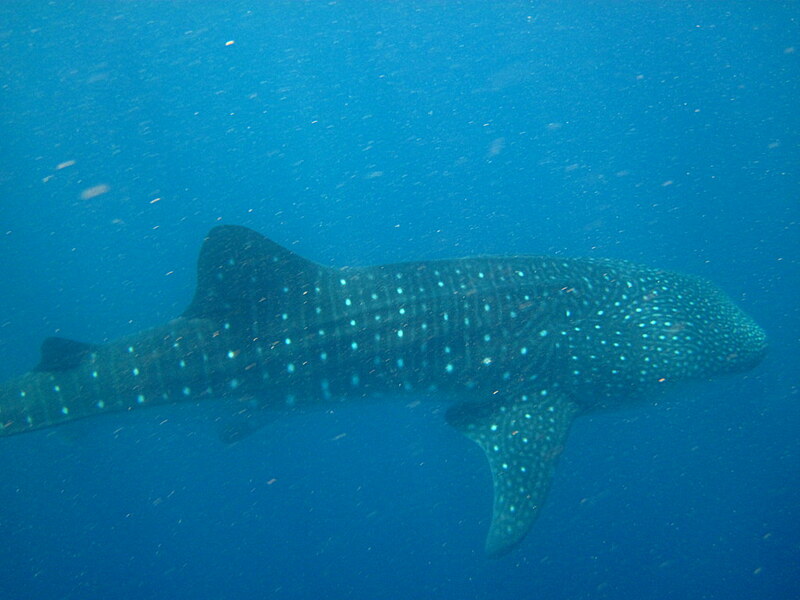 One of the things we planned for the Maldives was to do a whale shark encounter. Mainly because our previous (and first) experience was quite ghastly. It was in Mexico, and you can read all about it HERE. So we were thrilled to find out that Maafushivaru is located in Ari Atoll, one of the best locations to spot whale sharks in the Maldives. 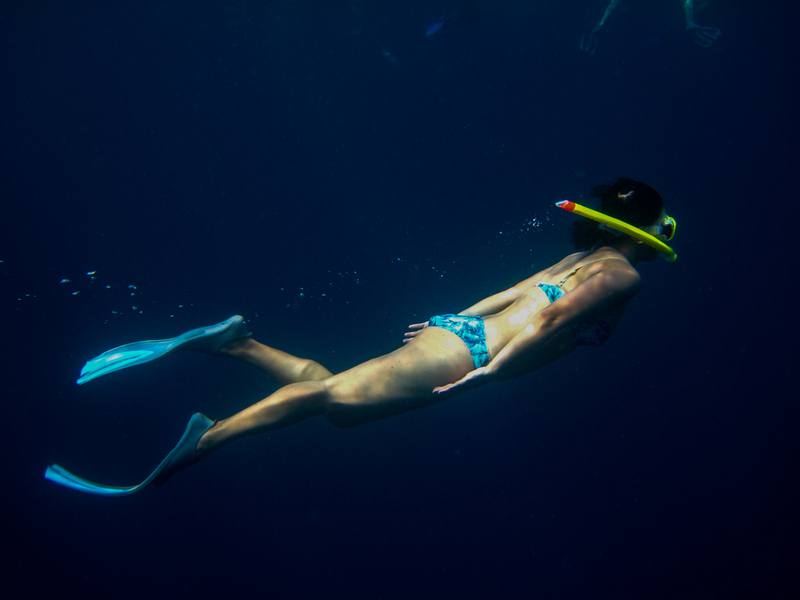 Maafushivaru offers several day trips and excursions, and it is extremely easy and no-fuss. They have a board where all scheduled activities for the week are posted, and you just simply write your name and room number to join. Apart from a dive centre, Maafushivaru also has their own Marine Biology Centre that is dedicated to studying the behaviour of whale sharks (among other creatures) in the atoll. -This is the ocean, and we are entering the whale sharks’ natural habitat. Therefore it is not a staged encounter. 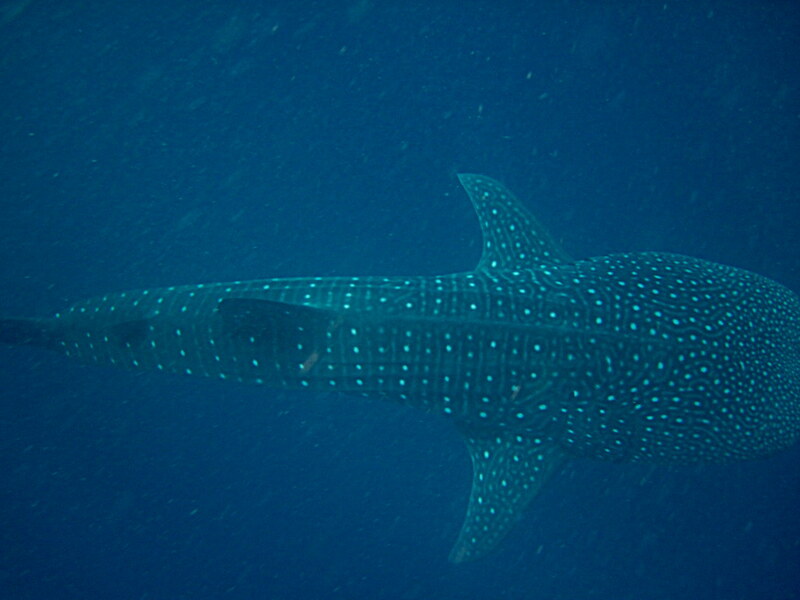 The whale sharks will not come to you, rather you need to keep up with the whale sharks. – Due to this, you need to at least swim moderately fast. And it would help if you can swim without any life jackets. Those who cannot are assisted by guides. – We ate light during breakfast because there were a lot of swimming involved. – Water , towels and fruit (lots and lots of fruit!) were provided on-board. – The boat was huge so less chance of being seasick. We were briefed even prior to getting on the boat, and another session while on the boat. And I knew immediately we were in capable hands. There was also a limit of number in the group (10) so it wasn’t too chaotic. And to our utmost relief, the method in which they did the shark encounter was much more relaxed, organised, and best of all, more humane towards the whale sharks. In Mexico, there were about 20 or so boats all hounding the whale sharks at the same time, and the boats would get way TOO close to the whale sharks so all the tourists had to do was jump. Here, I liked that after spotting a whale shark, they would still keep a good distance from it, stop the boat, jump, and swim towards the whale shark. Yes it’s more effort but I’d rather do it this way. It’s quite exhilarating to swim with them. They were so graceful, calm and just happily minding their own thing while we swam around (and behind) them. Whale sharks are not exclusive to the Maldives and though we’ve only ever experienced the one in Mexico, I have also seen footages of other countries with whale shark encounters, and their operations make me seethe. Their priorities are to entertain the tourists and not the well-being of the whale sharks. We are overall very happy with this encounter in the Maldives! 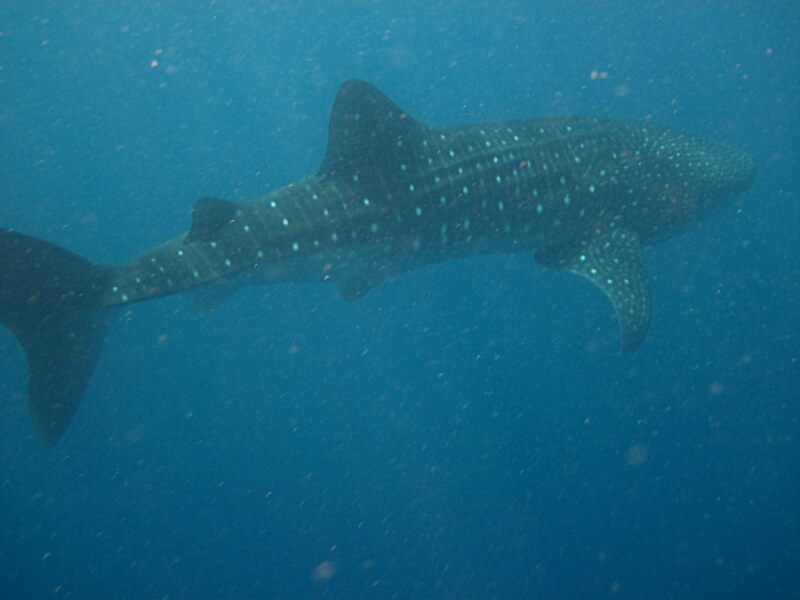 I’m so glad that Maafushivaru is operating this tour with the whale sharks in priority first and foremost. Here’s a full review of Maafushivaru Maldives! Have you done a whale shark encounter before? How was the experience? If not, is this activity on your bucket list? Thanks Sam, I’m actually quite jealous you are in Adelaide as it’s one of the best places in the world to do cage shark diving 🙂 one day for me too! This is one of my ambitions, great to read about it. I would be horrified if I went on a whale shark spotting tour and they behaved the way you describe for Mexico. I will make sure if I ever get the chance to do this that I do my research and ensure it’s being done as humanely as possible before I decide if I’ll do it or not. Hi Candice, yes exactly why we were shaken on our first whale shark experience (but not as traumatised as the whale sharks definitely!) Hope you have an amazing encounter when you do it!